Spanisch lernen mit leichten Sätzen in 100 Audio-Dateien (mp3)! Presseveröffentlichung: Download 100 audio (mp3) files and learn easy sentences in Spanish! Learn Spanish quickly and easily with 100 downloadable mp3 files. 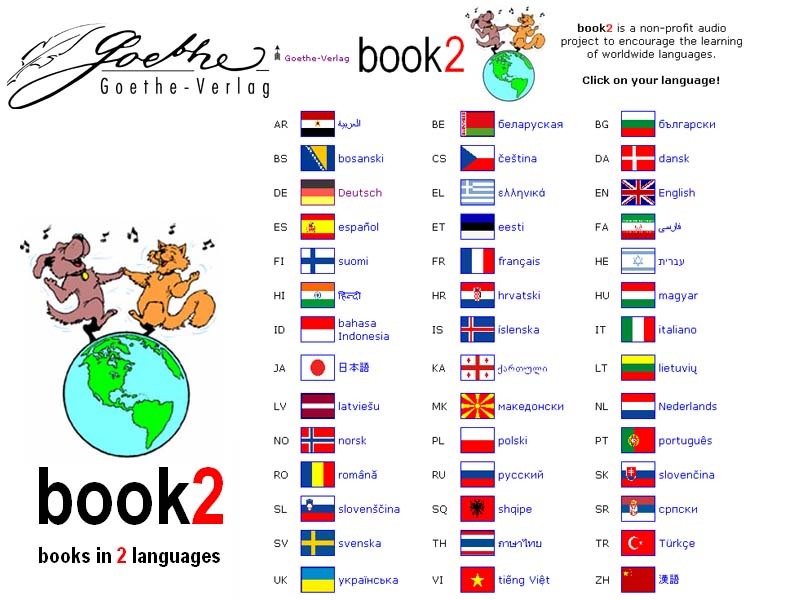 book2 is free and contains 100 lessons in Spanish that provide beginners with the basic vocabulary. Listen to book2 on your mp3 player anywhere!